Sometimes ‘going out’ can be a struggle. When you’re busy juggling work and kids stuff, the concept of actually putting on make-up and doing your own hair for a social occasion seems a bigger challenge than climbing Mt Kosciuszko. That’s why I’m also a huge fan of hats. 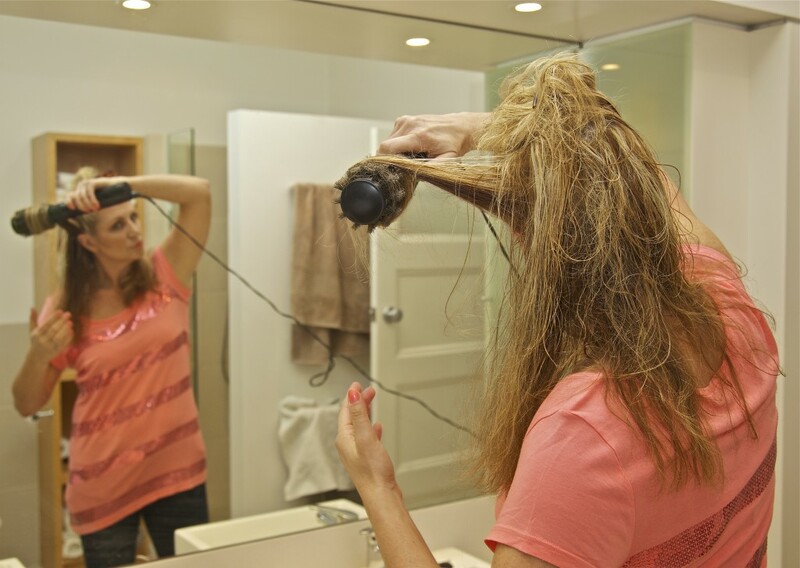 They’re a quick fix for a bad hair day, although sometimes this look doesn’t necessarily work in the evenings…. 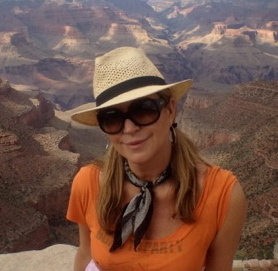 But generally speaking, a hat is a favourite accessory on holidays when you just couldn’t be bothered lathering up. But what if you’re going to a ‘special’ function or wedding and you know you have to up the ante? You’re probably going to have to have your hair coifed, teased and sprayed to within an inch of its life at the hairdresser’s. But what if you’re time poor – and who isn’t these days? Who has time for making an appointment and planning ahead, let alone getting there? If you’re like me, you’re always looking for shortcuts. Tips on how to do your own hair and make it look half decent so you can avoid that hairdresser palaver. Which means I’ve bought lots of junk over the years, looking for a magical solution. And yes, I do occasionally use the GHD straighteners, even though they fry the bejeezus out of your hair and my colourist warns they should be avoided at all costs unless faced with an emergency. So my latest tip comes from a good friend, Judy, who kindly insisted I borrow her new contraption before buying one of my own. It’s called the Vidal Sassoon Big Hair Styler and it looks like this. I was skeptical, but agreed to give it a go. I already had another version lying unused in my bathroom cupboard so didn’t hold much hope. It took a few attempts, but – VOILA – it works!! I was impressed enough to run out and buy one the next day, and now I use it almost every time we ‘go out’. If you want to get one yourself (and I’d highly recommend it) then I do have a few tips for getting the best results. 1. 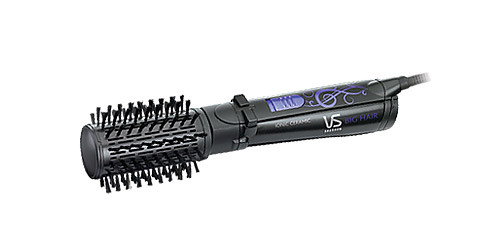 Generally speaking, the Vidal Sassoon Big Hair Styler retails at $99.95. Unless you can find one on sale, I’d recommend buying one from National Pharmacies. If you sign up for their Customer Rewards card, you instantly get a 20% discount! 2. Wash you hair, towel dry and leave it for between half an hour to an hour, before styling. And use a blow dryer to dry off your hair a bit first. If you start using the Big Hair Styler from scratch with dripping wet hair, it will take hours. 4. I use a comb brush to section off a piece of hair that will fit around the brush and then pull firmly to get the best results. 5. I push the roller button to draw the hair in tightly to the scalp and then hold it there for about twenty seconds each time, which seems to work well for creating volume. Because the machine does the pulling for you, it also takes a bit of muscle work out of the job, which saves the aching arms you often get from performing a regular blow wave. 6. After the underneath section is done, I release the top half and repeat the same process, working around the head. It takes about two or three goes to get it down pat, so keep trying. In the end, it might not be as good as a result as I’d get at a hairdresser, but considering the time and money saved, I think it’s pretty good. And sorry, I should have tidied up the bathroom a bit before having photos taken, but hey, remember what I was saying about being busy? 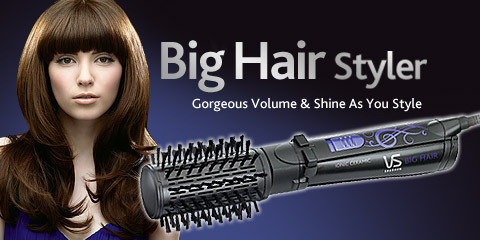 Which is why I love the Vidal Big Hair Styler – it really is a fab time saver. Thank you Judy! Of course, the Vidal Sassoon website has an actual video which shows you more clearly how to style your hair, but given those commercial productions are so fancy and sometimes hard to believe, I wanted to show you my own happy snaps so you could see a normal person can actually come up with a half decent result at home in their own bathroom.